The just launched LadderM8rix range of ladder anti slip devices secures the base of a ladder safely by a means of reducing the risk of the foot of the ladder slipping. 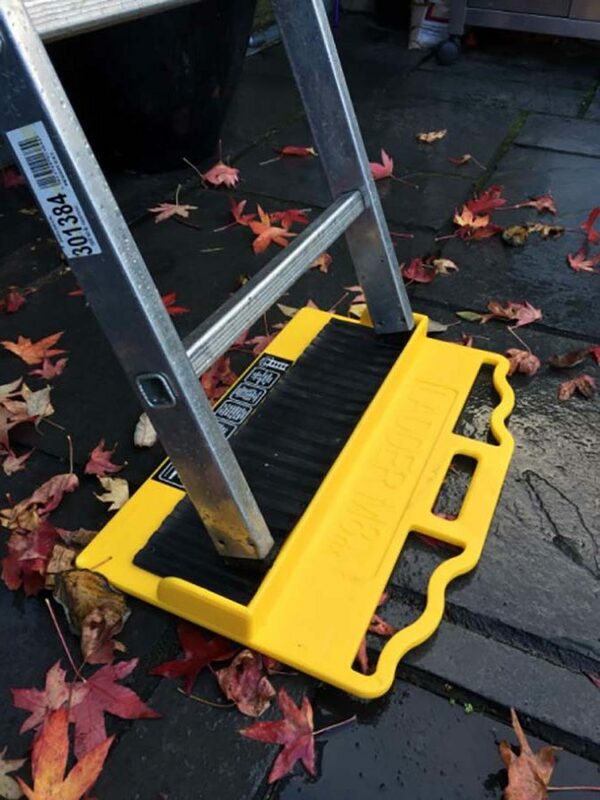 The range helps to provide a safe, stable platform when working at height on ladders and can be placed on a range of different of surfaces including concrete, grass, pebbles, paving slabs, tarmac, snow and, say the manufacturers, even solid ice because of its 2000 pin base that engages any surface. Professional, Industrial, Interior and Pro-Plus product options are offered.